Sad news coming out of Kansas City, when longtime broadcaster and Royals media liaison Fred White retired Tuesday and died Wednesday due to complications of melanoma. I’ve said numerous times the reason I wanted to get into broadcasting (make that sports broadcasting) as a career was one inning of listening to White and Hall of Fame broadcaster Denny Matthews back when i was 9 years old. At first, it was simple fascination with baseball that drew me to the field, and it didn’t hurt that KC was playing my beloved Orioles on a hot August night. Later on, it was the narrative, the capture of baseball’s ebb and flow, the staccato bursts and legato, luxurious meanderings of each individual game and season that captivated me and drew me closer to what has turned out to be a significant part of my current career. I have no idea why I gravitated to the Matthews-White partnership as quickly as I did, but I think (aside from the fact they were the only game in town, in a manner of speaking) it was because they brought complementary views and approaches to the broadcast. Matthews had the largely journalistic, almost newslike delivery. White was less shy about rooting for the Royals, perhaps less inclined to painting a verbal picture than Matthews, but he never overdid it like a lot of broadcasters have done throughout time. They didn’t interact as much as some crews — each set of innings seemed like it belonged to Matthews or White as their handiwork — but when they did talk amongst themselves, it struck of two friends talking to each other. Nothing forced. 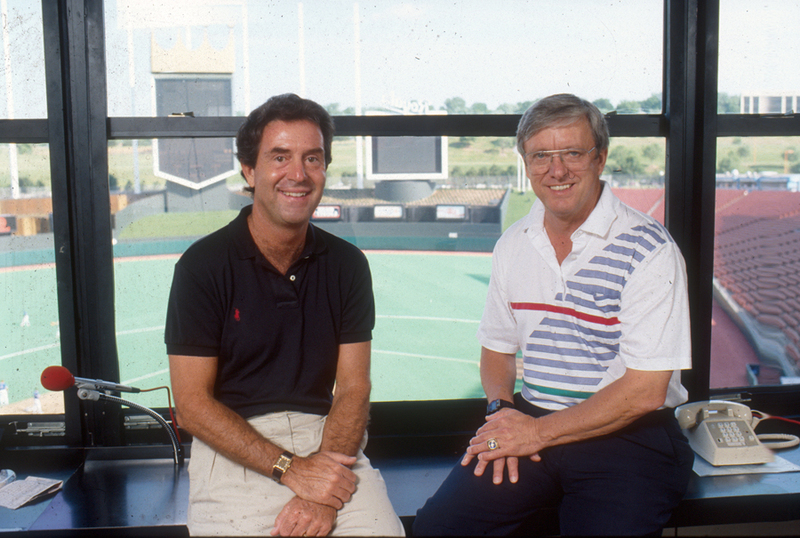 Royals broadcasters Denny Matthews (left) and Fred White captured the franchise’s heyday in the 1970s and ’80s. teamleaks.com photo. For sports, broadcasters are the soundtracks for rabid and casual fans alike. They set the tone for what’s happening on the field of play. That soundtrack can be histrionic, hyper, bloated, unintelligible…and regardless of the style, somebody will say that’s the best way games should be called. Both individually and together, White and Matthews brought an understated approach to their craft. In essence, they let the game dictate how they emphasized the game’s peaks and valley without ego or hype. Between listening to White and Matthews and following Nebraska football through the voicings of Lyell Bremser, I quickly developed my broadcast philosophy (although I never truly thought of it until my current job): let the game’s moments or the ebb and flow dictate how to punctuate. Don’t hype. Catchphrases are OK, if used in moderation. Criticize judiciously, balancing that criticism with an understanding of the situation and thus adding possible mitigating factors. That’s not to say I follow my philosophy consistently, but that’s how I feel about the profession. Anyway, those lessons were supported by other broadcasters. Frank Adkisson did a wonderful job calling Omaha Royals and Lancers games in the 1980s and early 1990s, basically because he used that exact philosophy. Nationally, the voices of Dave Barnett, Al Michaels, Keith Jackson and the now-silenced vocal cords of Pat Summerall and Jim Durham could all capture the moment in their own ways without going diving into the cesspool of hype and blather. And regionally, it was Denny and Fred. Not Harry Caray. Not Mike Shannon or John Rooney or Hawk Harrelson. I only met White a couple times, back when KVOE was a regular attendee at the Royals’ special daylong festivities for the Kansas Association of Broadcasters. I can tell you that what you heard for over two decades on the air was what I found to be true in person: a down-to-earth, unpretentious, smart, funny, inquisitive man who had time for everybody — even if he really didn’t have time for anybody because of his schedule — and was more than willing to lend his advice and experienced ear to broadcasters like me seeking advice. It was maddening when the Royals replaced White, and Ryan Lefebvre didn’t get a fair shake for years from fans like me simply because he was Fred’s replacement even though he was worthy of the job. It was sobering to hear health issues forced White away, this time from life itself. Frankly, it was depressing. You know days like this are coming, the days when your childhood idols have to go on, but it doesn’t make things any easier. For Royals fans, White’s death is eerily similar to the passing of fellow broadcaster (and White’s longtime college TV basketball partner) Paul Splittorff in that they both ultimately succumbed to cancer, although this was seemingly a much more sudden transition from life to death. Splittorff’s status was in limbo for several months before his diagnosis was revealed two years ago, but by that time he didn’t have long to live. White was a broadcaster who has the respect and admiration of a lot of sportscasters across the Midwest. 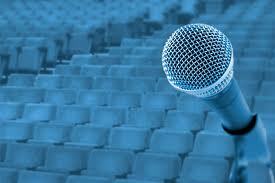 Based on how he was behind the microphone and how he was away from it, he earned it. Broadcasting needs more Fred Whites. In this day and age, it’s unlikely we will see that happen. Rest in peace, Fred. I know you have a good starting lineup to talk about — and from what I hear, the bench is pretty good, too.